Trade shows. Love them or hate them, they're a necessary component of many B2B marketers' yearly agendas. When attending a trade show, however, it soon becomes clear who's prepared and who isn't. Some booths are full of energy, while others struggle to attract attendees. 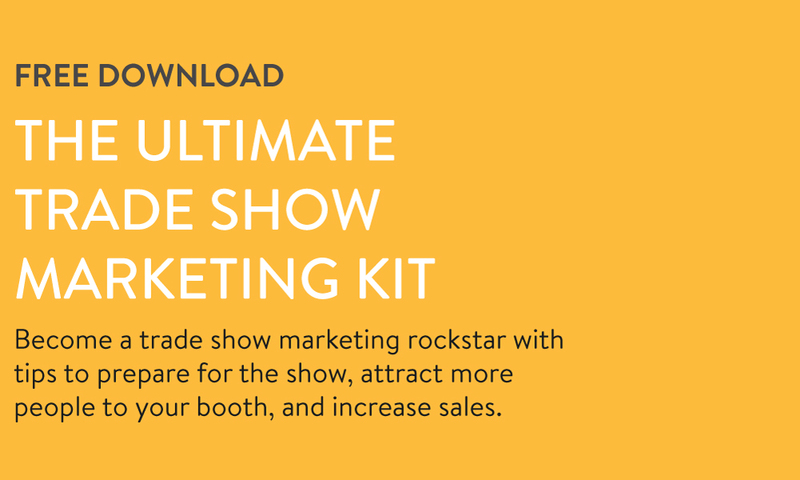 In the Ultimate Trade Show Marketing Kit, you'll find everything you need to develop a strong trade show marketing strategy, capture more leads, and ultimately make more sales. 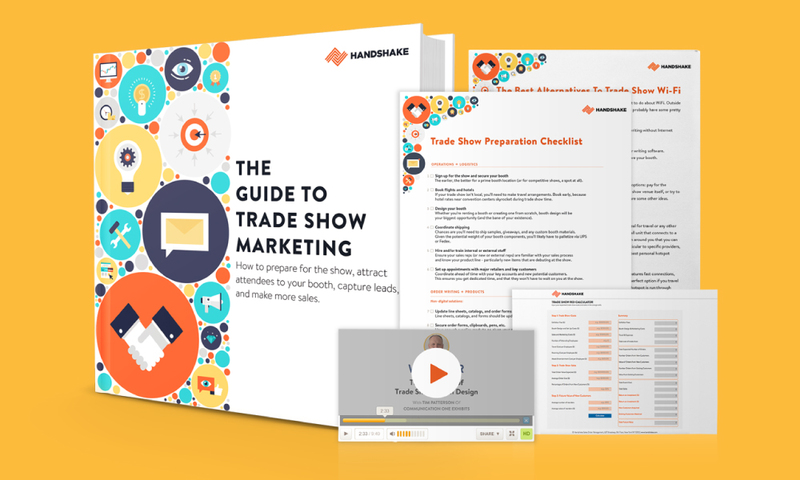 The Guide to Trade Show Marketing, a PDF filled with actionable steps for pre-show marketing, guerrilla marketing, staff training, and more. A plug-and-play Trade Show ROI Calculator to help you decide which shows are worth your time and effort. "The Essentials of Trade Show Booth Design," a 1-hour webinar with Tim Patterson, Founder of Communication One Exhibits. And more!